You are what you eat | Thinking is the enemy. Who needs all that gold? I’ve got a little girl. Nope, not creepy at all. We all know that as writers, we need to read. A lot. This is even more challenging in a world where we’re trying to build platforms on social media, marketing our books, and maybe even handling all or part of the publishing process. Oh, yeah — plus actually writing. Regardless, reading’s still important. My goal is to spend some time with a book every day. Back in my salad days, I had a lot more spare time and a whole lot less Internet. So I read whatever was at hand. I borrowed stacks of books at a time from the library. I scrounged about in used bookstores. I also read a lot of crap. Not to say I’m reading nothing but timeless classics these days. But I’ve found that with less time to read, I give a lot more thought to my reading choices. As someone writing for teens, it’s important for me to read in the MG and YA markets. But I like to alternate that with adult fiction — especially if it makes me look up some words. The more different the better. 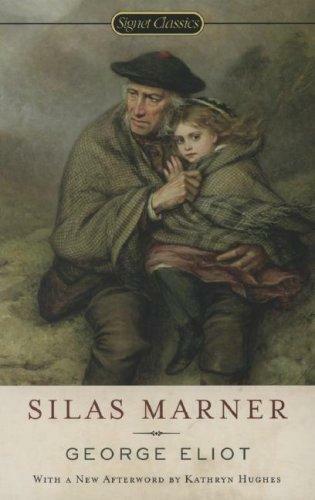 Recently I just finished Silas Marner by George Eliot, which is about as far away as you can get from YA. But I thought it would help create the mental distance I needed from my WIP before I tackled revision. When I’m actively working on fiction, I like to read nonfiction, partly so I’m free of current YA influence, but also to learn about new things. Often it doubles as research. For my recently completed draft, that turned out to be books about theosophy, Madame Blavatsky, and the occult. And right now, I’m reading books about revising novels. Because, you know, then I won’t have to start doing actual revision. This entry was posted in Books, Reading, Writing and tagged george eliot, reading, revision, silas marner, writing. Bookmark the permalink. Nice post, Chris. I love reading books that are totally different from what I’m writing. It really does provide the nice mental break you mention. Thanks for posting about this. I’m still borrowing stacks of books from the library, but unfortunately they don’t all get read. I like the idea of reading nonfiction while writing fiction. I do sometimes feel like if I read a good piece of fiction, then I want to emulate it in my own writing, even when the genres/subjects are totally different and it wouldn’t be applicable at all.